There are an estimated 1,600 pandas left in the wild in China, and thanks to new legislation, that number may change very soon - for the worse. The Chinese government is currently in the midst of introducing its "forest tenure reform" legislation in several provinces. Originally introduced in 2008, the new reforms were meant to stimulate local economic benefits reaped by people living in forest communities. But in effect, the reforms could allow for the sale of some 694,884 square miles of critical old-growth forest for commercial logging, firewood collection and development. The area, currently owned collectively by villagers, represents 15 percent of China's panda forests, according to a new study published in the journal Conservation Letters. The researchers say that this habitat could be totally wiped out under the new reforms - and the pandas that lived there would meet the same fate. But there's still the possibility of "eco-compensation," a scheme that's been used before to protect wildlife and wild places in China. Under this system, communities living near panda-inhabited forests would sign long-term, binding forest preservation contracts agreeing to protect panda habitat. In exchange, these communities would be paid by the Chinese government. 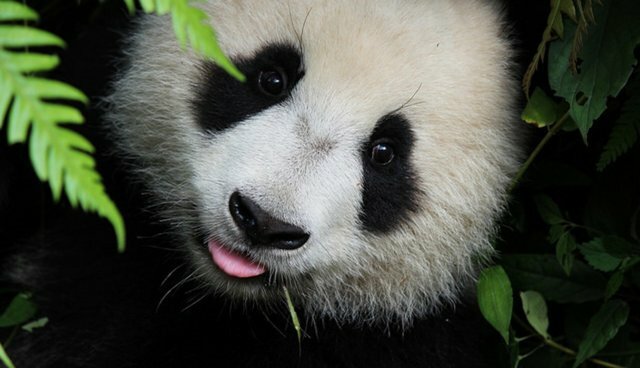 We estimate that $1,229 million in effective eco-compensation payments could prevent an estimated 15% decline in the giant panda population, whereas an additional $3,707 million for effective eco-compensation and restoration of potential habitat could restore the giant panda population to an estimated 40% above current levels. Essentially, the government could pay $1.2 billion to the owners of the land in return for their continued protection of the country's national animal. If the government spent a further $3.7 billion, it could even boost the current wild panda population by 40 percent. This amount of money seems startlingly high, they acknowledge, but when considering the amount of money China's spent on eco-compensation in the past decade - $100 billion - it's not so staggering. The researchers hope that their plan will be considered as the forest reforms begin to take shape - and that the country's most iconic animal will be spared.